THE recently-extended Gwili Railway has held a passing-out ceremony for its youngest female fireman. 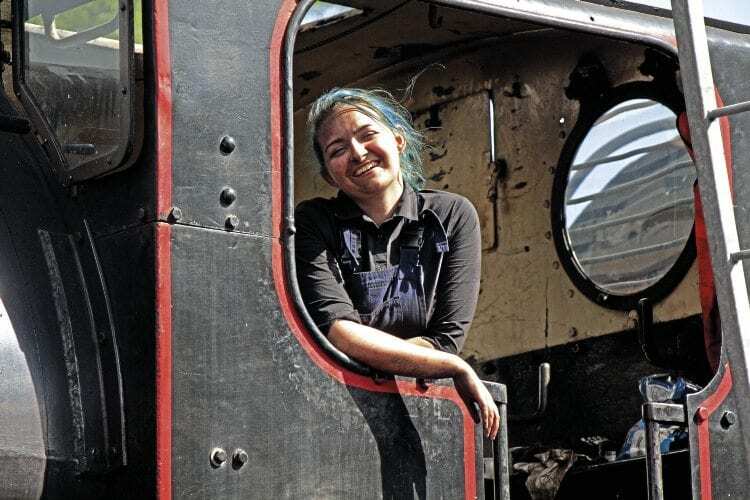 Nineteen-year-old Jemma Samantha Laurence first visited the Gwili Railway in September 2016 and became a volunteer soon afterwards. She enjoys working on all aspects of the railway, starting with events and guard duties before commencing her training as a fireman in March. She has now successfully passed out. She has worked on the footplate RSH 0-6-0STs Welsh Guardsman and Moorbarrow on high days and low days. She never worries about the early starts or physical endeavours of life as a fireman. She is also a trainee guard, although she prefers to be on the footplate. Jemma is also employed during the summer to work on the strawberry cream teas throughout 2017. She has been trained in shop duties helping to run the railway’s office. The railway knows that such a dedicated worker is an asset to the volunteer team and it hopes to see her pass out as a driver when she is 21. Her main trainer/fireman has been Paul Booker. Read more News and Features in Issue 232 of HR – on sale now!